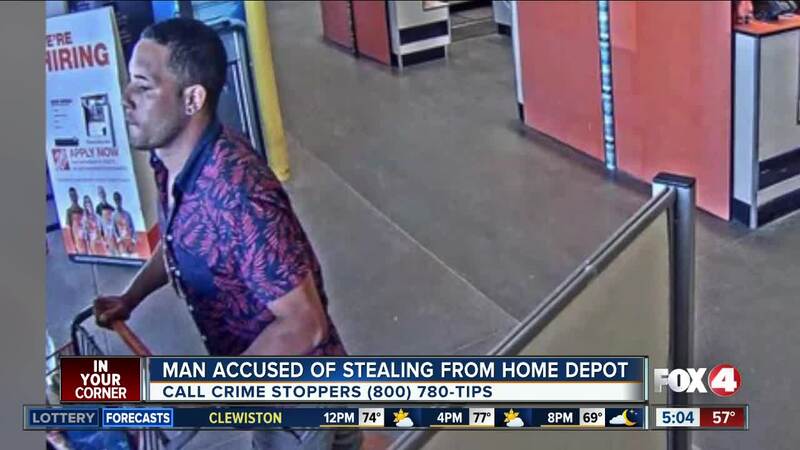 CAPE CORAL, Fla. -- Police need your help identifying a man accused of attempting to steal a designer toilet from Home Depot. Officers say they responded to an attempted theft at the Home Depot on Skyline Boulevard on March 1st. A worker caught the man in the parking lot after he walked out of the store without paying for a cart full of items, including a GB designer toilet, pop socket, switches, and electrical wires. When the worker told the man he needed to come back inside to pay for the items, he ran towards his car and took off, leaving the items behind. The suspect was caught on surveillance and was driving a dark blue Chevrolet Suburban. The male suspect was a Hispanic male medium complexion approximately 5`5", 140 pounds, and approximately 30 years old. If you have information on who this man is, you're asked to call Southwest Florida Crime Stoppers at 1-800-780-TIPS.